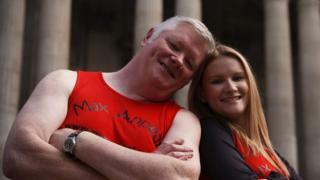 Father and daughter, Steve Barlow and Rachel Wood, are running the London Marathon together for the first time and are hoping to cross the line in under five hours. Rachel, who admitted to not being able to run more than 3km when she started training in January, has relished the opportunity to take part in the famous event alongside her father, who ran it for the first time last year. If you are inspired to run, check out our Get Inspired running pages for tips and hints and how to get started.